Just over a year ago I was 97kg, with little care about being fit and healthy. Now I weigh 78kg with an absolute love for the sporting world. A change I made because I struggled to climb a tree at a work team bonding day. My journey started in April 2017 at Park Run in Colby where I ran 5 KM’s in just over 32 minutes, now my 5 KM personal best is 20 minutes 20 seconds! This year I completed a “Lent Challenge” I created which consisted of 40 runs, 5 KM in length, over 40 days. I then went on to do a 106 KM ultra marathon around the Isle of Wight all in aid of Cancer Research UK which took 32 hours through the night to complete. It was physically and mentally challenging, there may have even been a few hallucinations. I initially started running for fitness, now I know I can stay in bed a few minutes longer if I run for the train to work. I love that it is a sport that anyone can go and do, you do not need a personal trainer or an expensive health club membership, just yourself and maybe some music or a podcast, I recommend ‘No Such Thing as a Fish’. You do not even need to take it too seriously, there are not many sports you can do dressed as a banana. There is so much to be gained from running, and if you are struggling to get up and go, then I suggest have an agenda for every run, even if it is going to meet a friend at a fried chicken shop that is 3 KM further away from your usual one. 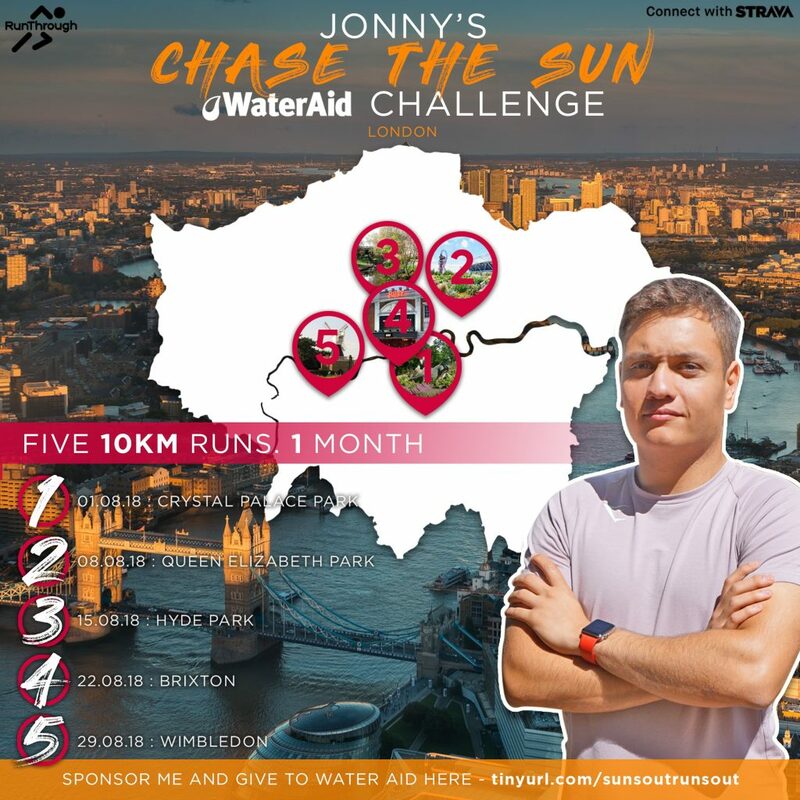 Currently I am raising money for WaterAid (Just Giving Page: www.tinyurl.com/sunsoutrunsout) by taking on five of Run Through’s Chase The Sun 10KM runs throughout the month of August. Anything you can give to a stranger running for charity would be much appreciated and be sure not to be a stranger by saying hello on a coming Wednesday as you overtake me! 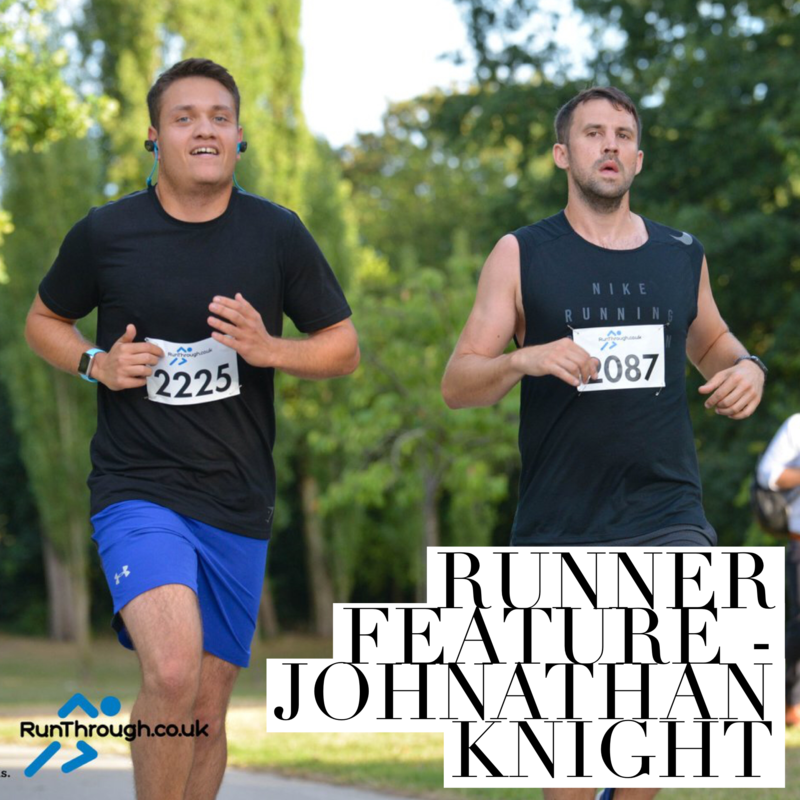 To see how Jonathan gets on and follow his journey head to his Instagram @mrjonnyknight.